Introducing our one-of-a-kind collection of beaded cushions, placemats and coasters that will inject glitz, glamour and most importantly humour into your home! 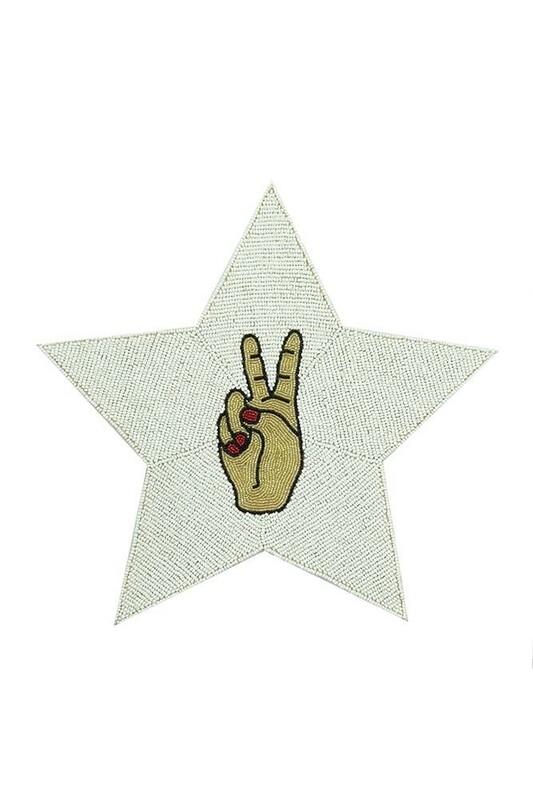 Super quirky, the Peace Hand Star-Shaped Beaded Placemat will add eclectic edge to your home! A brilliantly beaded placemat is perfect for adding rock ‘n’ roll style and edge to your dinner or kitchen table! 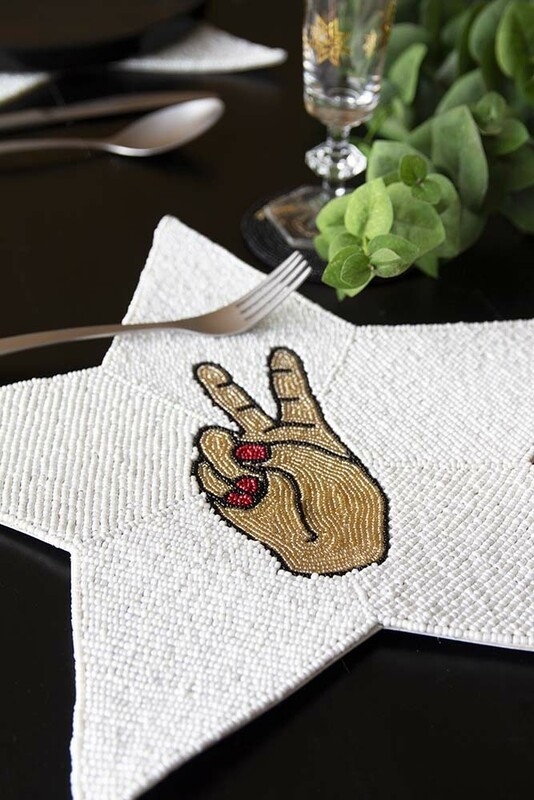 Ideal for protecting your surfaces as well as looking super eye catching this placemat features a cool Peace Hand with red nails on a white star shaped beaded background. Cool and edgy rock ‘n’ roll own-design placemats, we think that this placemat would make a fabulous gift idea for your friends, family and lovers!